The response to the article “Good Enuf Construction Communications” was generally mixed, mostly from senior project managers dealing with the day to day challenges of the real world. He’s right, and I totally agree — since the conclusion at the bottom of the article was pretty much exactly the same. He missed the point, but the miss of course was not the fault of a reader, but completely the fault of page headers and the linear format of a written blog. Another comment from an experienced project manager in France shows the same communications challenge. He’s again right, the real challenge for construction managers is to interact across a communication gap, one that combines an instinct for multitasking, limited time and attention spans, and access to the kind of technology, now fairly common and accessible to most young professionals. Take a look at a typical wireless home. Note especially how the same home-based technology creeps into the tools of construction management. This StudioDELL video shows the kind of home that is increasingly becoming an information and entertainment center. This is a place where wireless access blends with daily tasks to give a new generation of managers the almost natural ability to communicate in completely different ways. Ways that do not easily translate to every busy construction professional. What we’re seeing is a growing cloud of information. And it’s not only found in construction. For example, listening to a doctor’s advice has changed radically. Not only does a doctor have less time, s/he is monitored by open critiques, online reviews, and lay and professional opinions posted to hundreds of possible websites. And few still listen to any professional advice without not only “googling” the medical information, but the doctor’s name, professional background and activities, as well as any insights into their personal lives that are floating in the cloud of information available wirelessly from the front seat of a pick-up truck. 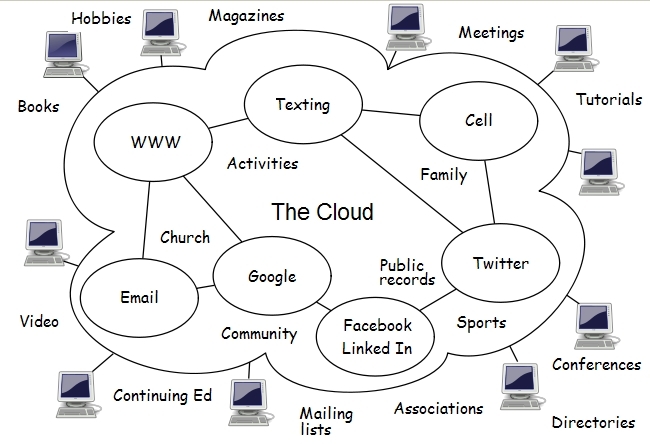 The Cloud of course, is the internet-based use of computer technology. It’s a shift in information technology in which Wikepedia’s authors see that “details are abstracted from the users who no longer need knowledge of, expertise in, or control over the technology infrastructure.” IOW, the internet brings a transparency to both information and communications. The old time face-to-face now includes hundreds if not thousands of faces-to-faces. 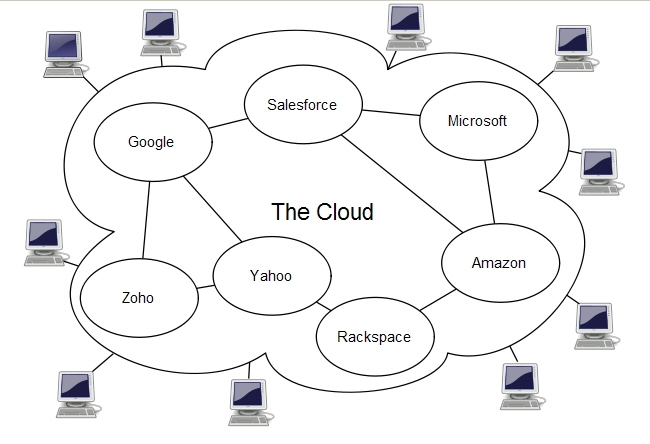 When the full potential of this cloud is understood, anyone on or off the project team can find detailed project information mixed together with family, hobbies, past project experience, and alternate opinions about almost any construction materials or methods, all blended to underscore or contradict an authoritative technical response. There is no control point or obligatory power position (OPP) any more. Information transfers seamlessly from the cloud. And as most already know, the faces are changing as quickly as the technology. Take a look at these new-gen professionals from Construction Management Association of America (CMAA) postings to U-Tube. One can see in these fresh faces the same commitment to the construction industry we all share. Only they’ve learned to operate and expand their communications skills using this cloud of information, mostly because they’ve been educated and are succeeding because it has always been there (for them). BTW, CMAA is also on Facebook, which means all the construction management “fans” or “friends” of their page also have a page on Facebook. Check the sidebar to see the faces of professionals networking and communicating in this newly forming cloud. Some even Twitter along with one of the CMAA VP’s John McKeon, while he’s making his daily rounds. The challenge, of course, is much broader than communications within any one country, with both team members and competition spreading globally in an economy that is in itself rapidly restructuring. Take a look at this trick from Tecton.